Trail King Steel Side Dump | Wheeler Machinery Co. THE TRAIL KING 5 AXLE SSD (STEEL SIDE DUMP). DESTINED TO BE THE BEST SIDE DUMP YOU’LL EVER OWN. The rolled design of Trail King’s Steel Side Dump (SSD) tub delivers fast, clean dumping of your payload away from the trail, with no “carry back”. What’s more, the formed top rail and exterior tub reinforcement help the tub resist twisting and flexing. 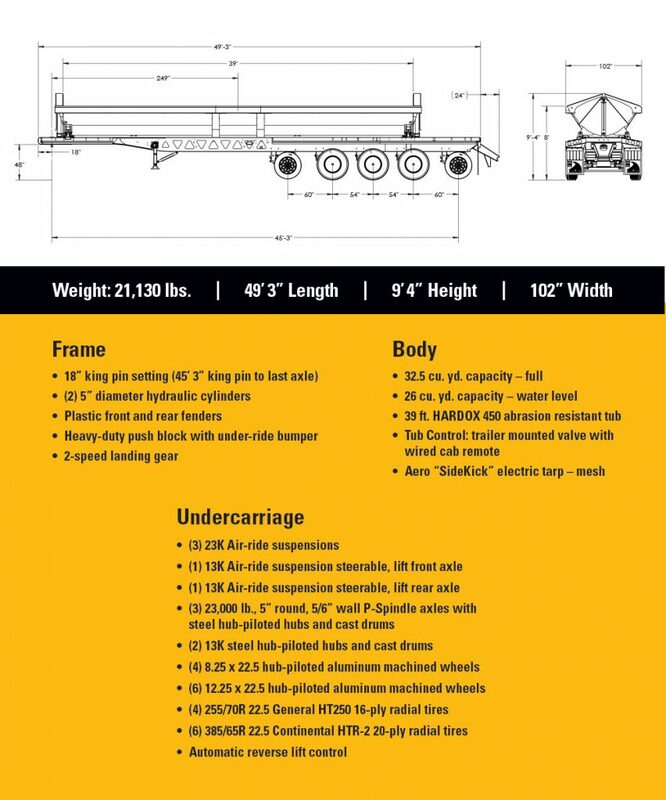 Main frame I-beams constructed of one-piece web and flange material, combined with full-depth angle-mounted cross members, resulting in a trailer with the rugged strength and durability to stand up to your toughest loading, hauling and dumping demands for years to come. The abrasion-resistant tub is constructed of two rolled pieces of Hardox 450. The round bottom delivers fast, clean dumping of the load away from the trailer, with no “carry back.” The fewer weld seams associated with this design minimize the likelihood of cracking. Best of all, this tub design results in weight savings of several hundred pounds. Twin, 5″ bore, single-stage cylinders offer maximum stability when dumping. The single-stage cylinders are very low­maintenance. Their two-pin mounting makes them easily removable if they need to be repaired or replaced. Trail King I-beams are constructed of one-piece web and flange material. The result is a mainframe that is stronger, with less twisting and load “bounce” … all of which reduces the opportunity for the frame to develop cracks. All cross members are full depth. Cross members in the main frame area are mounted at an angle. This exclusive Trail King design helps distribute stress over a larger area. 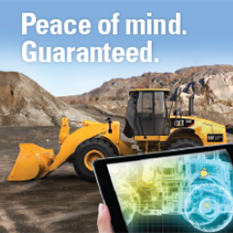 The result is the flexible strength necessary to handle your toughest hauling requirements. Rugged, flexible, impact-absorbent plastic fenders (front and rear) shed falling debris to protect both the trailer and the wheels. Bolt-on fender support brackets. Trail King Side Dump Trailers come standard with a trailer-mounted cab control kit. 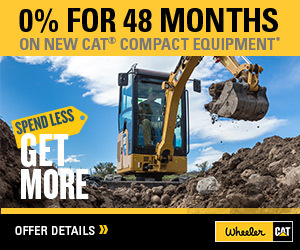 Wheeler Machinery Co. is an authorized Trail King dealer carrying the company’s current selection of side dumps and related equipment. We offer service and support for everything we sell, so you can shop with confidence knowing you’re working with a company that will be there for you. We’ve chosen to partner with Trail King because of their longstanding reputation for quality products and design innovation. The current generation of Trail King SSDs is only the most recent example of this. A new five-axle tub will provide years of reliable service, low operating and maintenance costs, and exceptional performance in the most demanding applications. 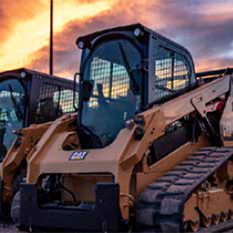 When you buy a Trail King side dump from Wheeler Machinery Co., we’ll help you make an informed purchase that positions your organization for success. This includes matching you with affordable financing options that meet your budget. It may also include providing comprehensive preventative maintenance and equipment management plans based on your service needs. Wheeler Machinery Co. provides sales and support for all Trail King Steel Side Dump tubs for clients throughout Utah as well as parts of Wyoming and Nevada. We have multiple locations in the Beehive State and are available to provide onsite service and consultations for clients throughout the region.